It goes without saying that fire safety is of high importance in any building. It’s crucial to ensure that your fire protection strategies are keeping in line with any stringent building safety regulations that have been put in place. It’s important to carry out risk assessments to identify any potential issues, and work towards getting them resolved. While it’s important that the right precautions are put in place, it’s also vital that the correct fire safety and evacuation plans are implemented in the event of a fire. Amongst many other necessary features, all fire safety plans must include enough clearly marked escape routes, exits and emergency doors for ease of evacuation. The key to a successful fire protection strategy is to ensure that in the event of the fire, the correct fittings have been put in place to minimise the spread of smoke and flames. Not only does this help to keep building damages to a minimum, but it also ensures a safe and easy evacuation. Fire rated glass is the perfect solution for anybody looking to implement a new fire safety strategy, or simply meet building regulations. 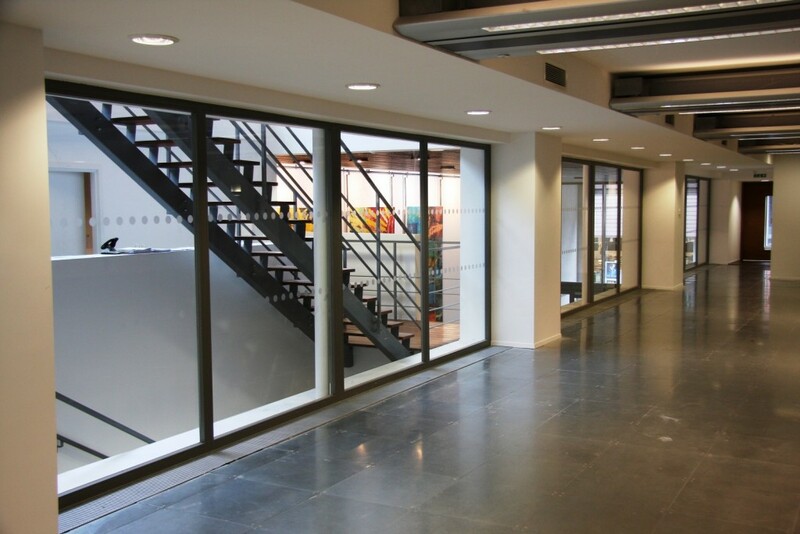 Advanced fire technology now means that transparent fire screens and doors can be implemented to segregate escape routes, common areas and staircases. 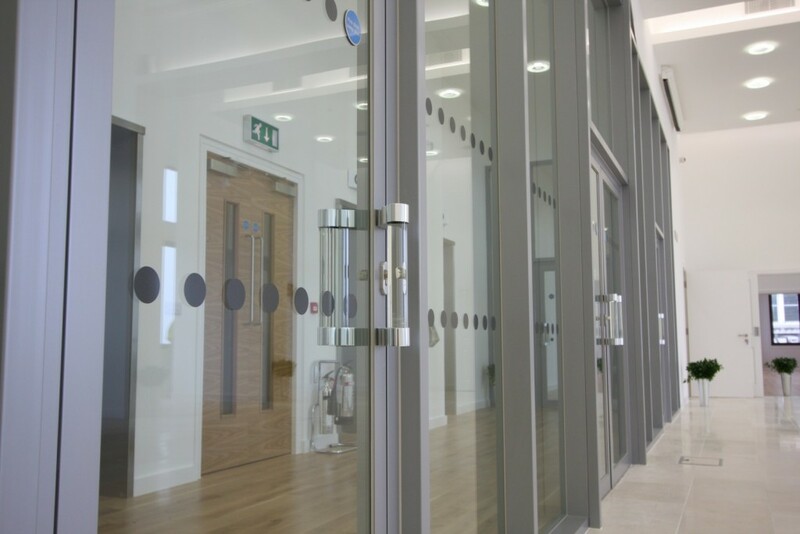 Fire rated glass makes an ideal alternative to standard steel or wooden fire doors, perfect for modern offices that don’t want solid fire doors disrupting their bespoke designs. It can often be a misconstrued conception that glass would be a useless material in the event of a fire as surely, it would just shatter? Wrong. Well, standard glazing would after being subjected to around 250°F heat, but toughened fire glass can withstand temperatures in excess of 1600°F – which is quite a remarkable difference. 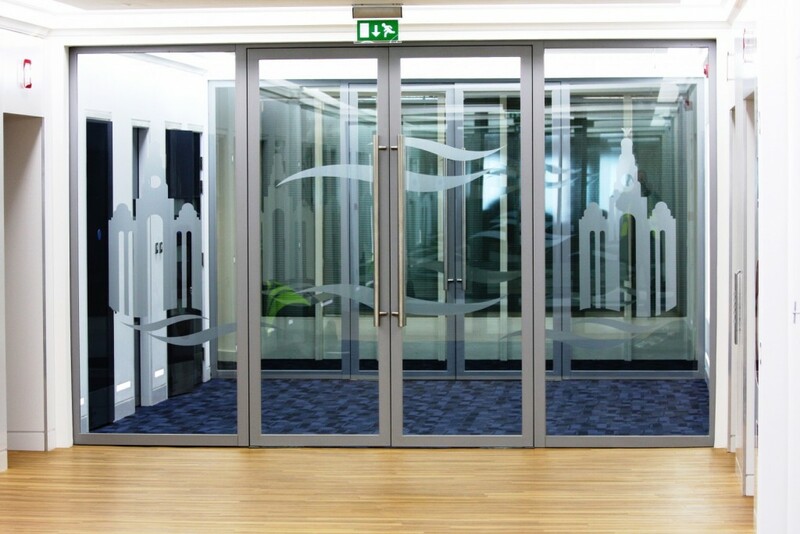 Glass fire screens and doors can provide performance up to 120 minutes integrity and insulation, depending on the fire rating of the glass and the framework surrounding it. For example, thermally insulated steel framed fire screens can provide up to the maximum (120 minutes), whereas when opting for minimal framework, silicone-jointed systems would usually max at 60 minutes integrity and insulation. It’s important to know the difference between integrity and insulation. Integrity means how long the fire, smoke and hot flames will be contained in a certain area, so to minimise the spread. However, insulation is the time that the people in the building will be protected from the heat radiating from the fire, to help them evacuate the building safely and quickly. 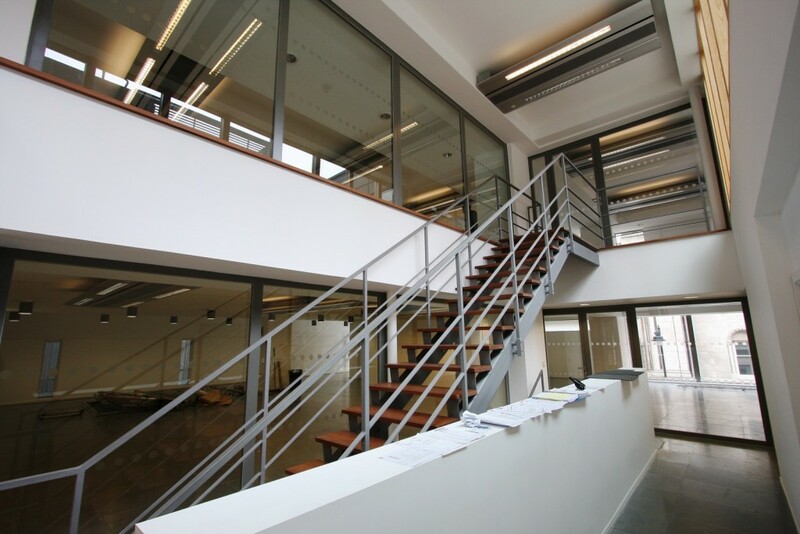 To be able to identify the classification and the amount of protection given, fire rated glass is put through rigorous health and safety tests and given a rating. For example, if glass is given a rating of EI60, this would mean that it has the highest level of protection, and an insulation and integrity time of 60 minutes. Similarly, EI120, would give it 120 minutes integrity and insulation. Another benefit of using fire rated glass in doors and screens is that it is transparent. Not only does this provide particular aesthetically pleasing benefits, but also contributes to the safety aspect. Through transparent doors and screens, it’s easier to identify location of flames and smoke, to help plan out a more successful escape plan, avoiding areas which appear to be affected and identifying any potential dangers ahead. This is why it’s crucial to ensure that glass has an E classification, as this should remain transparent when subjected to heat and fire. When looking to implement new fire protection strategies in any building, fire-rated glass is an obvious choice. New fire glass technology makes solid fire screens and walls out-dated and unneccessary. So, fire-rated glass doors and screens are definitely something worth considering.